In the new era of functional and molecular imaging, both currently available imaging biomarkers and biomarkers under development are expected to lead to major changes in the management of oncological patients. 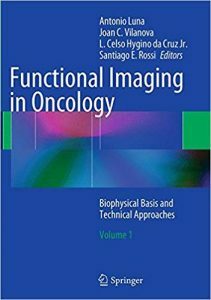 This well-illustrated two-volume book is a practical manual on the various imaging techniques capable of delivering functional information on cancer, including preclinical and clinical imaging techniques, based on US, CT, MRI, PET and hybrid modalities. 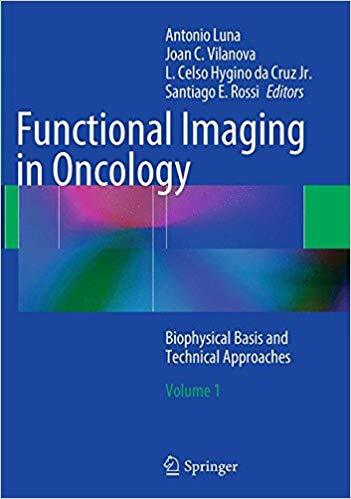 This first volume explains the biophysical basis for these functional imaging techniques and describes the techniques themselves. Detailed information is provided on the imaging of cancer hallmarks, including angiogenesis, tumor metabolism, and hypoxia. The techniques and their roles are then discussed individually, covering the full range of modalities in clinical use as well as new molecular and functional techniques. The value of a multiparametric approach is also carefully considered.